Located in Silicon Valley, MSB’s dedicated engineers and production specialists work to bring you the best in high-end audio. Combining elegant design thinking with a passion for lifelike reproduction, MSB’s close-knit team, led by brothers Jonathan and Daniel Gullman, build and curate a wide array of hifi products—DACs, transports and amplifiers—setting an industry benchmark. By relying on tight integration between electrical, mechanical and consumer needs, the company strives to push the listening experience further. At the end of the day, their joy comes from innovation and sharing their leading-edge technologies with the world. 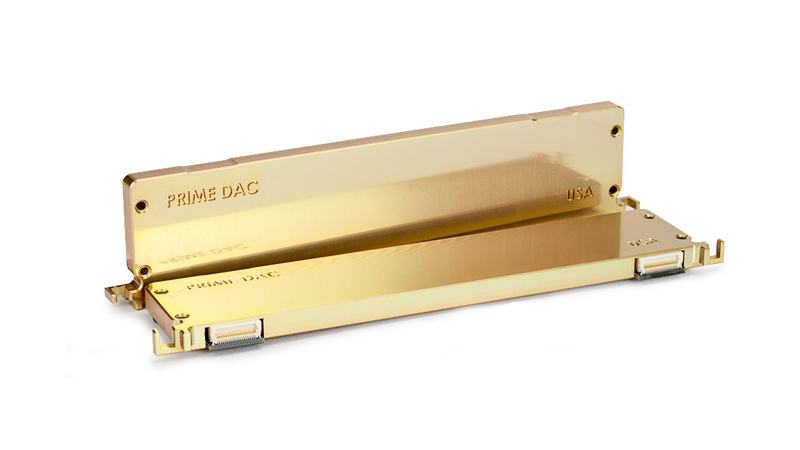 With two prime DACs, MSB yields an unprecedented level of detail, reproducing the musicality, soundstage, and texture of an original performance, bringing the artist to you. 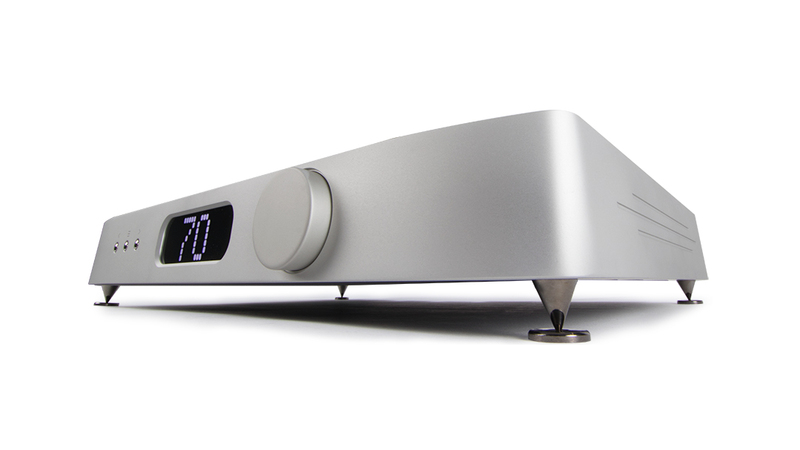 A fully balanced, ultra-high precision, discrete ladder DAC architecture ensures each note tells a story. 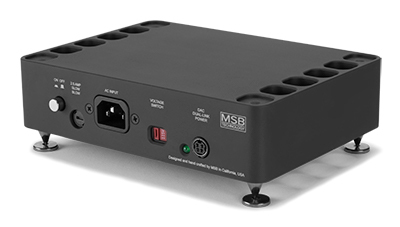 Additionally, MSB’s robust in-house design enables the finest quality playback of PCM and native DSD, while their low impedance circuitry drives your amplification directly without adding coloration or buffering noise. The end result is a digital experience defying expectations. Equipped with high-visibility and a wide viewing angle, the display is both easy-to-read and stunning, exhibiting MSB’s love for intuitive features. The LED display, slaved to the audio clock, is refreshed between data processing to drastically reduce electrical interference. The in-house discrete design is then constructed into its own shielded CNC pocket for optimal isolation. Sit back and be immersed. MSB thrives off the innovation required to meet consumer demands. They’re constantly improving digital input modules to stay at the forefront of the high-end audio industry, ensuring you’re always equipped with the most current digital file formats and interfaces. Focusing on their network renderer and USB input, your audio tech will be on the cutting edge. Put simply, your DAC is ready for the future. 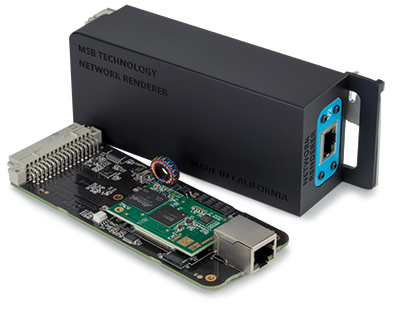 The MSB Renderer was developed using an in-house hardware design running an ultra low noise A5 processor for optimal audio playback performance. Over the air updates will ensure that your renderer always has the latest capabilities and ultimate convenience. Superior conversion begins with clean and stable low-noise power. The Discrete Power Supply feeds the DAC with dual low-noise power streams that are linear and independent. That’s not all—the CNC unibody aluminum chassis provides the discrete power supply with optimal thermal performance and an elegant design aesthetic. The DAC comes equipped with a single power supply, but can be augmented with a second discrete power supply to enable optimized power isolation between all major components. Built to accommodate modular components, the Premier Powerbase is highly adaptive, offering two dual-link power connectors, supplying four isolated power supplies. Make it your own—with the addition of dual low-noise shielded transformers, optimized power filtering, enhanced grounding and high-performance regulators, your DAC will be unrivaled in its performance. Paired with performance increases, MSB’s modular design ethos increases flexibility for future updates and product support, guaranteeing a long-term product investment. As you pursue higher levels of playback, an MSB upgrade path is always available to help drive your own desire for innovation. Whether it’s a software update or a leading-edge modular component, MSB and Command Perfomance AV are here to help the most valued aspect of both companies—our customers. Elegant yet commanding, MSB’s finishes are available in a matte silver or matte black anodize. Replaceable foot guards are included to protect the chassis from damage. 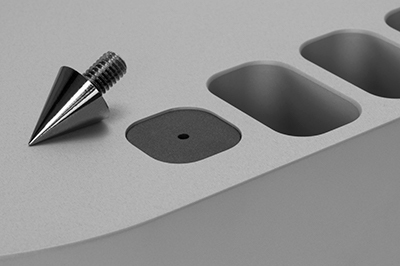 Any audiophile M6X1 foot can be installed to optimize your system. Hear MSB Technology at Command Performance today! PreviousAre 2-way speakers as good as or better than 3- or more way speakers?